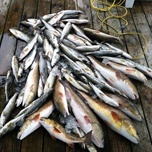 Inshore saltwater fishing charters for New Orleans and Surrounding areas. 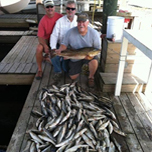 Redfish Speckled Trout and more from Delacroix Louisiana. Fall is here and the fishing is great down in Delacroix! We are catching a ton of trout and big reds. LFC has been catching a lot of limits and the fishing will get better and better through the fall. We have a big front coming this week and should move the shrimp out the marsh and the last of the trout into the marsh. Less shrimp in the marsh means easier limits! Another great outing at LFC these guys caught fish none stop while they were down in Delacroix! The fishing is on fire right now! !